The biological role of skeletal muscles goes far beyond locomotion and, it’s becoming crystal clear that the benefits derived from our muscular system are essential to our health. The muscular system, our largest energy facility, is responsible for keeping our metabolic system intact. It protects us against metabolic and hormonal decline, obesity, diabetes, and cardiovascular disease. Muscle strength not only makes every task and activity easier to perform, but the amount of toned muscle also relates to control of body weight, bone health, cellular rejuvenation and a reduced risk of certain diseases. As an aging adult, few things impact the quality of life as much as seeing your functional strength decrease. Lose enough strength, and you’ll no longer be able to perform even the basic functions of daily living and this in turn dramatically effects how you feel about yourself and your level of happiness. 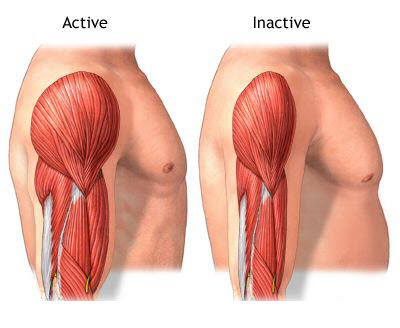 Hormonal disorders such as insulin resistance, inflammatory disease, dietary abuse, nutritional deficiencies and chemical toxicity all contribute to muscle downgrade, however, the main culprit is not doing enough muscle building and maintenance activity. In other words…living a sedentary lifestyle. One of the most powerful and important things you can do to reverse muscle and bone loss is strength training. It is the perfect anecdote and the only type of exercise that stimulates the release of HGH. Human Growth Hormone helps your body build more youthful muscle tissue. The body is a very efficient machine. If your muscles are not being stimulated, you are basically sending the message to your body that you no longer need lean muscle mass. Since muscle mass is an energy costly substance to maintain, if your body doesn’t need it, it wants to get rid of it. Strength training however, sends the message to your body loud and clear that it still needs to be strong and needs this muscle to complete your daily strength training exercises. If you are currently trying to shed fat, the more muscle you have, the easier it is to lose because your resting metabolic rate is fast and working for you. And, let’s not forget about what strong healthy muscles do to build strength in our joints and bones as well. Osteoporosis is a serious condition that sadly impacts far too many older adults. Without actively strengthening their muscles, their bones get weak and brittle and all it takes is one small misstep to happen that breaks a bone. Maintaining your lean muscle mass is mandatory if you want to live a long productive life. As a bonus, you’ll get a boost to your self-esteem and self-confidence. You’ll feel better about the way you look as you maintain that fit appearance. Your body was made to move. Keeping your body in shape not only makes you feel younger and stronger, but also might just save your life. Remember, it’s never too late to start. 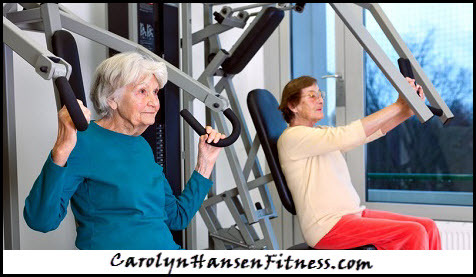 You are better off doing something now than just letting your health continue to decline due to the process of aging. If you truly want to stop the aging process, you need to put an exchange your sedentary lifestyle for one that promotes muscle strength. If you can only do one type of exercise variation, resistance training should be your number one choice. It is the one exercise that will make all your muscles stronger, boost your immune system and is empowered to restore your manhood.